To outside observers, SpaceX’s Falcon 9 rocket launch Thursday evening might not have looked particularly remarkable — no streaking contrail through the sky, the rumble muffled a bit by gusty winds. 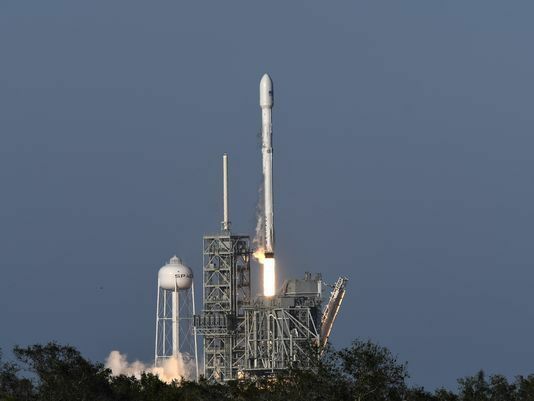 The launch of the SES-10 commercial satellite marked the first time SpaceX had re-flown a Falcon booster, culminating 15 years of work to prove that large, orbital rockets can be reused. Costs may have to drop further to enable a self-sustaining city on Mars. SpaceX is designing a giant rocket as part of a new “Interplanetary Transport System," applying lessons learned from Falcon rockets to ensure that it can be flown even more often. Before that proof was in, Musk felt oddly calm before Thursday’s high-stakes re-launch, nervous that he wasn’t more nervous. His calm was rewarded with a flawless flight and a historic first that he ranks among his greatest professional accomplishments. 0 Response to "Reusable Falcon 9 rocket is a triumph for SpaceX's Elon Musk"